Difficulty: easy. The only obstacle could be the presence of snow in early summer on Port de Ratera (2,534m). 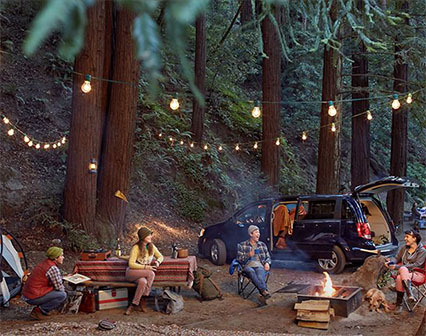 Water: throughout the stage you will find a number of streams and lakes. Suggestions: make the stage longer by walking to Espot (2h15min). 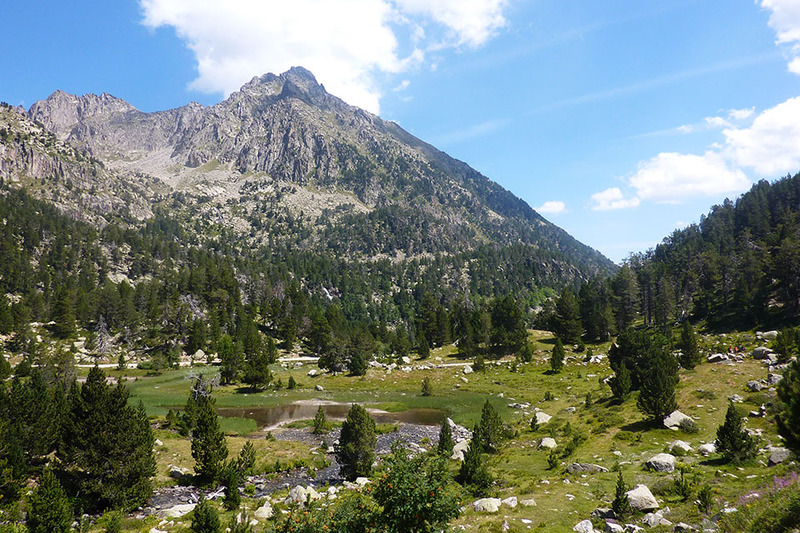 From Pòrt de Ratera (2,534m) you can climb the Tuc de Ràtera (2,861m) in 45mins. 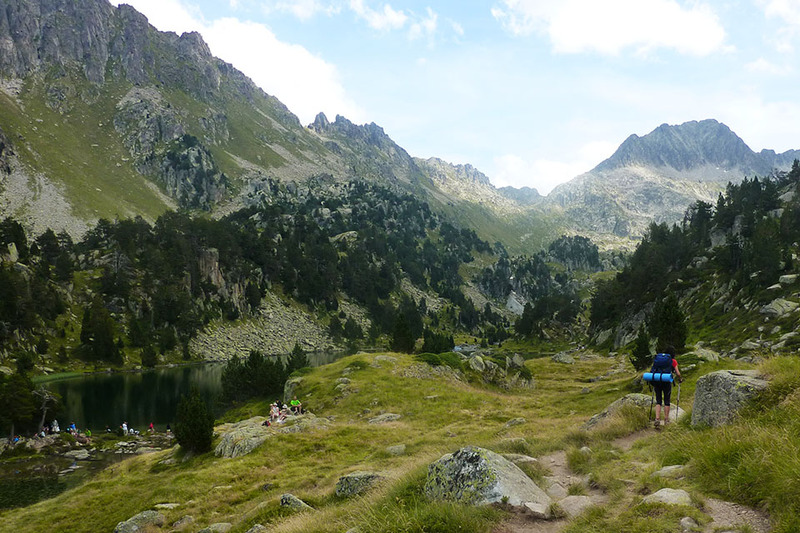 (4h45min; 11.4kms) Estany de Sant Maurici (1.915m). 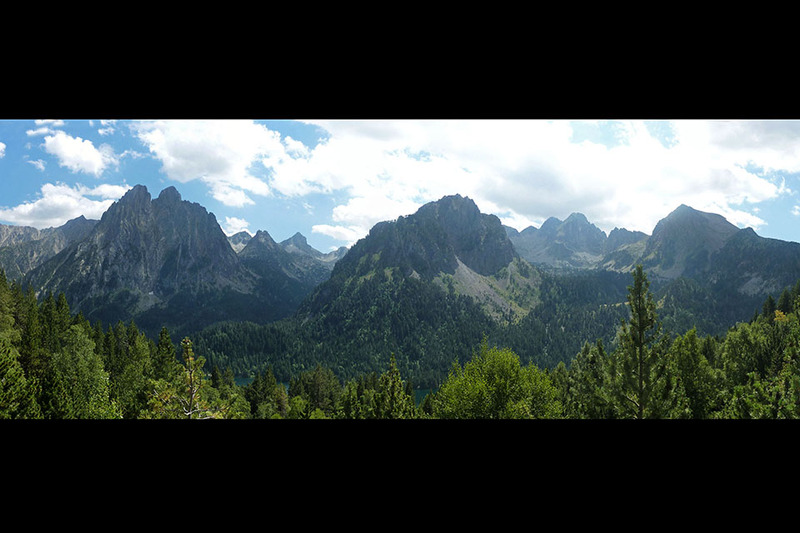 At the foot of the rocky outcrop of Els Encantats, this is undoubtedly one of the outstanding places of beauty in all the Pyrenees. To get to the refuge, leave the main track and head down to another on that passes below the reservoir dam. 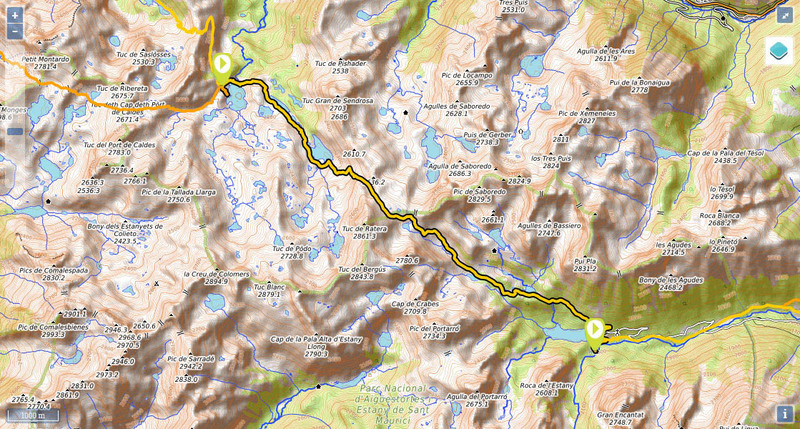 Follow it for around 250m to a crossing on the right that points the way to the refuge. 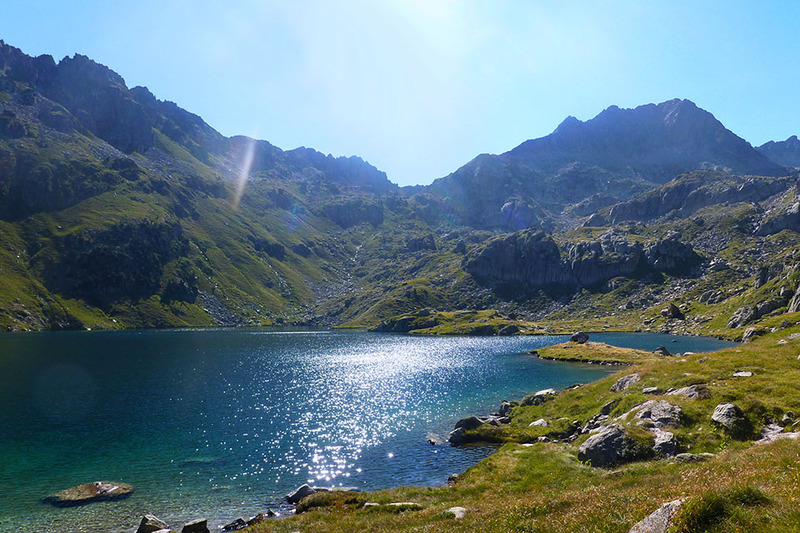 At the beginning of the stage, Refugi de Colomèrs (/). 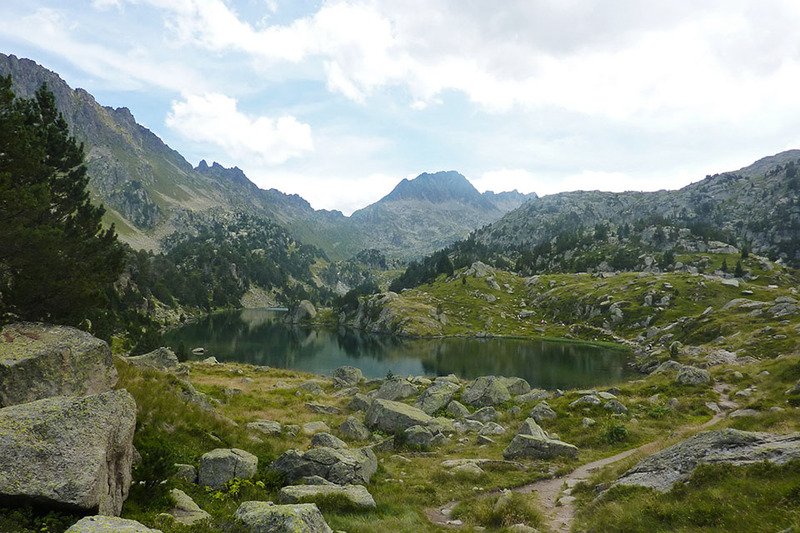 Given that the refuge is accessible from Arán valley (track, taxi service) added to the popularity of the area around the lakes (among the busiest routes in the Pyrenees), we recommend booking at least 1 month in advance during the months of July and August. During the stage, one hour from Còlomers, lies Obago cabin (it is on 2 floors and although half of the roof is missing, the upper floor acts as a roof for the ground floor). 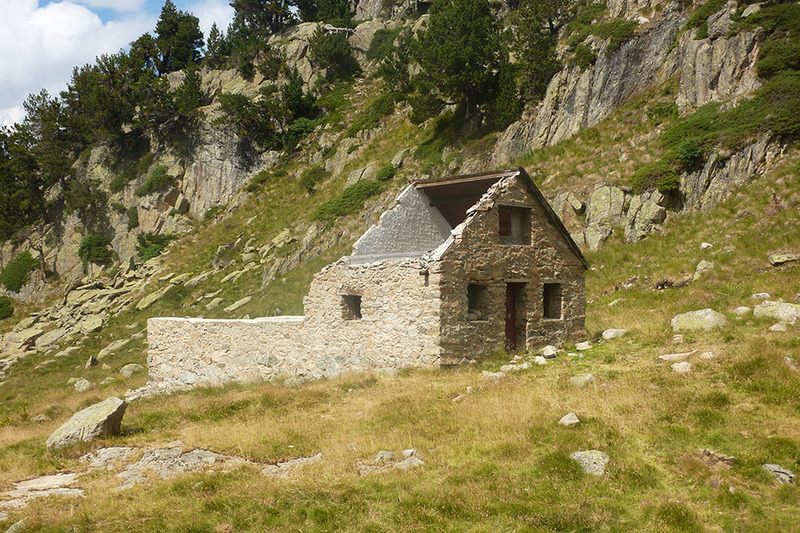 Away from the route (1h from Pòrt de Ràtera) is the Refugi de Amitges (/). At the end of the stage, Refugi Ernest Mallafrè (/). For those who extend the stage to Espot (2h15min): Hostal Casa Palmira , Casa Peret de Peretó , Casa Rural Colom or Apartaments l'Arrel. 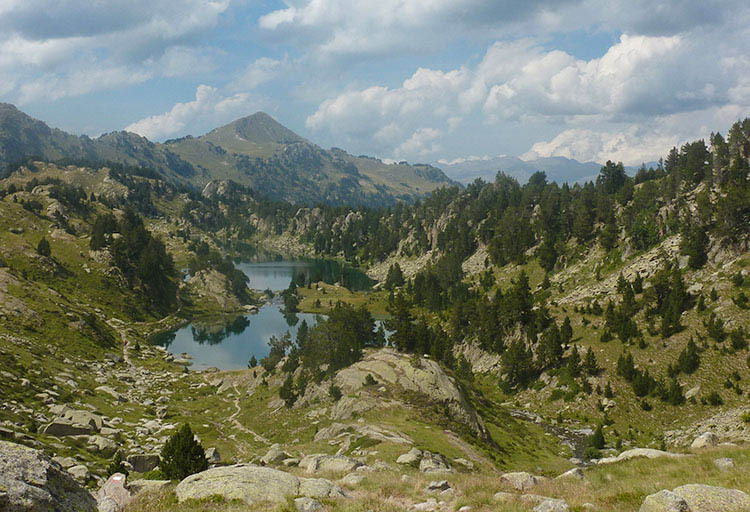 - Alpina: Parc Nacional d'Aigüestortes i Stany de Sant Maurici (Scale: 1/25.000). 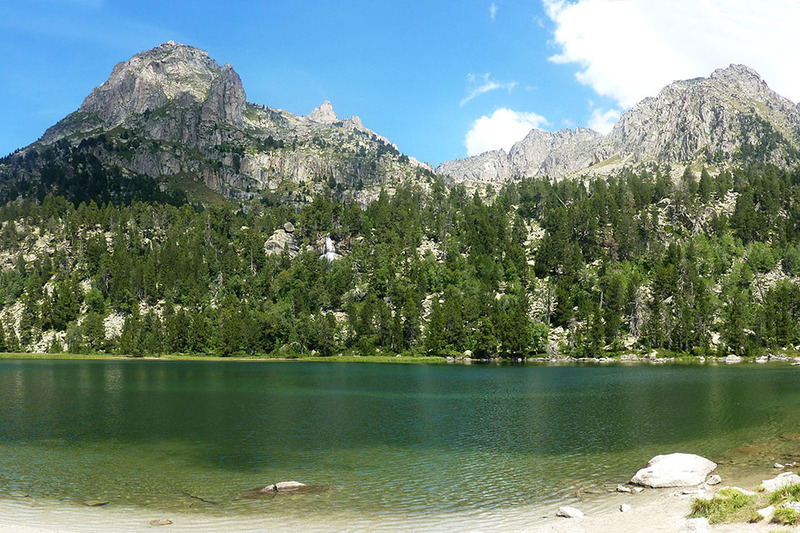 - SUA edizioak: Aigüestortes i estany de Sant Maurici (Scale: 1/25.000). 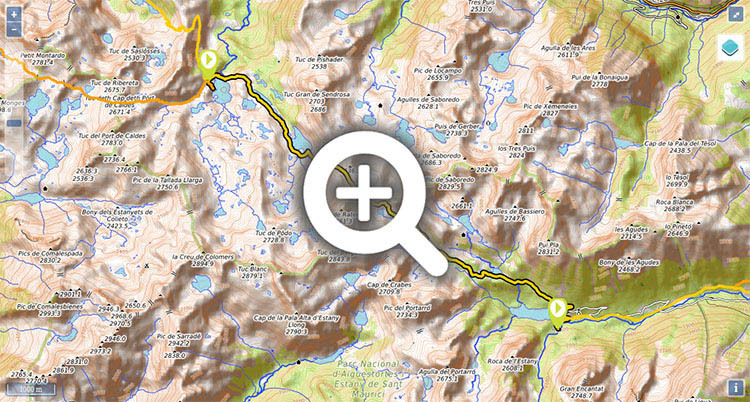 The quickest Access to the refugio de Colomers is from the track that comes from the north, from Salardú (open only to taxis in summer). 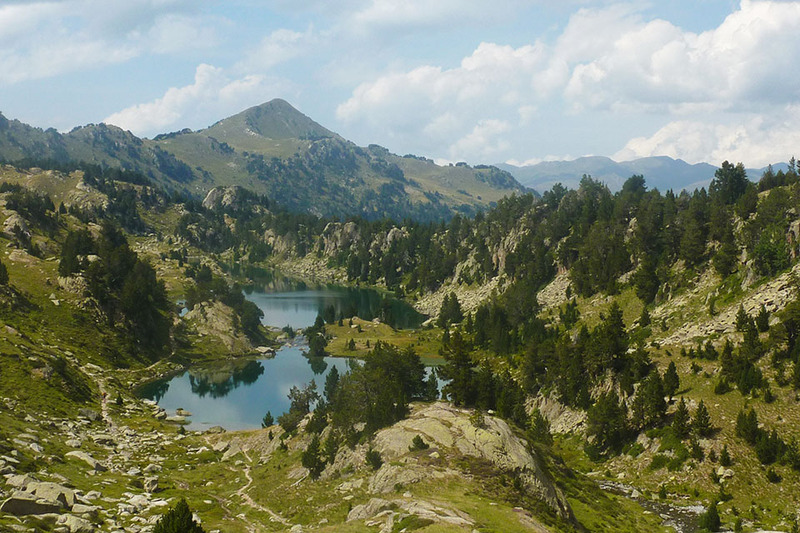 There is a road to Estany de Sant Maurici coming from Espot, which is closed to traffic a few kilometres below, at the car park in Prat de Pierró. Taxis are allowed access. 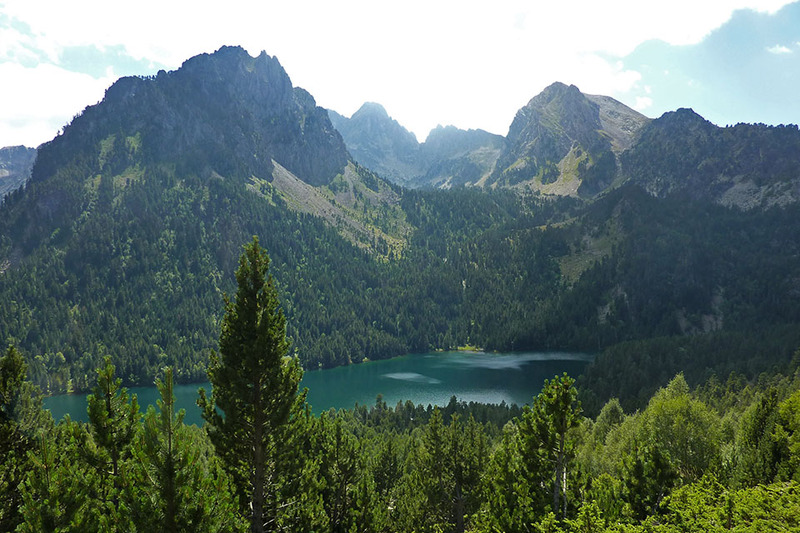 To get to Espot from Sort, take the Parque de Aigües Tortes bus (Alsa). 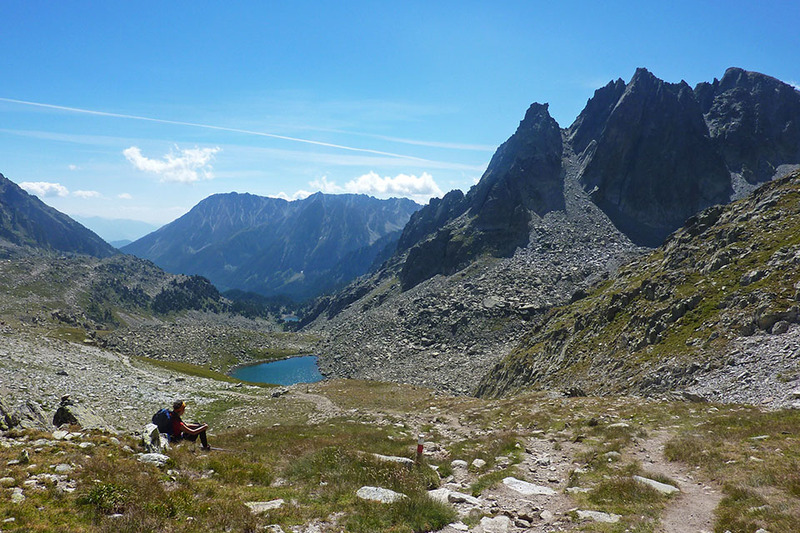 Around Colomers cirque there are a number of important peaks, such as Creu de Colomers (2,896m) or Gran Tuc de Colomers (2,933m). 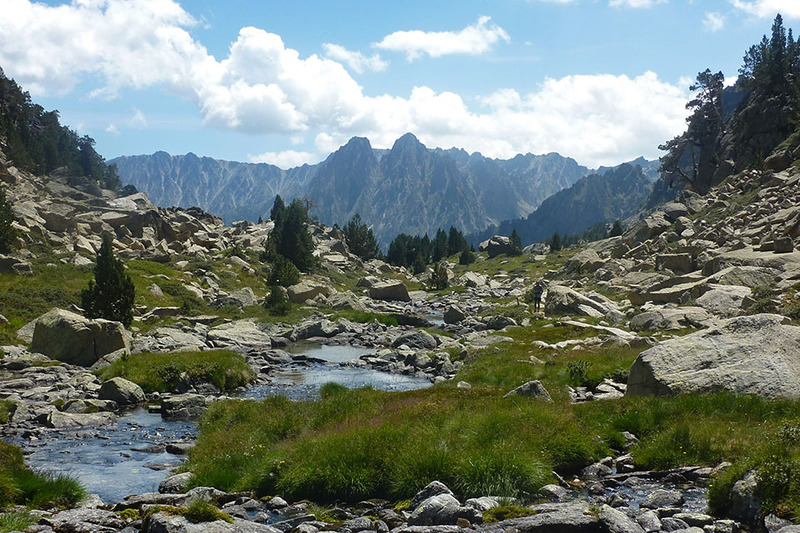 A very popular walk is the circular route around the Circo de Colomers (waymarked itinerary), and of course the Carros de Foc trail (5-7 days).